Mindfulness is a technique and sense of being present in the moment that incorporates aspects of acceptance, openness and meditation with the ultimate intention of improving well-being. Research indicates that mindfulness can significantly improve negative personality traits, reduce stress, increase attention, alleviate chronic pain and enhance mental health. Mindfulness-based interventions in correctional facilities have resulted in reduced hostility and improved self-esteem for adults, but less is known about its applicability amongst youth. This article reviews the research-based literature on the use of mindfulness-based interventions for youths (aged 13 to 24 years) involved in the justice system. A total of ten studies were located and synthesised into four themes of stress reduction, self-regulation, anger management and acceptance. The article concludes by considering the methodological rigour of the reviewed studies, providing recommendations for future research and contemplating the positive impact that mindfulness interventions might have on youth in the criminal justice system. Update: November 2017 Article in PennCurrent (University of Pennsylvania) points to the positive impact of Power Source on 16-18 year olds incarcerated at Rikers Island, NY. Just four months in prison can harm a person’s cognitive abilities and impulse control. Penn criminologists report that a combination of cognitive behavioral therapy and mindfulness training can reverse the damage. Rikers Island in New York City. The Island has 10 jails that can house as many as 15,000 inmates at once. 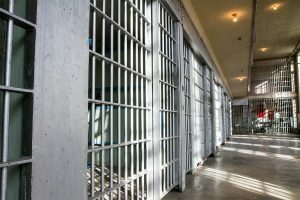 Just four months in prison can negatively affect a person’s cognitive abilities and impulse control, according to findings published in Criminal Justice and Behavior from Penn criminologists Adrian Raine and Rebecca Umbach. The good news is some combination of cognitive behavioral therapy (CBT) and mindfulness training can reverse the damage. The study, led by Umbach, a fourth-year criminology graduate student, analyzed data collected by New York University researcher Noelle R. Leonard. Incarcerated 16- to 18-year-old males at Rikers Island Prison in New York City were randomly assigned to three months of either a control group that attended weekly sessions focused on substance use, violence, and sexual health risk-reduction, or an experimental group that participated in what’s known as the Power Source intervention, which uses CBT and mindfulness meditation. Power Source was developed by Bethany Casarjian and Robin Casarjian of the Lionheart Foundation. Everyone in the study completed what’s called the “Emotional Go/No Go” test at intake, then again after four months. Inmates viewed faces on a computer screen expressing one of four emotions—fear, happiness, sadness, or anger—or a neutral face. For each of eight rounds, one of these or a neutral face became the focus. For the fear-focused round, for example, participants were to press the button when a fearful face appeared and avoid pressing it for a neutral one. The Penn team confirmed what’s been hypothesized, that spending time in prison has negative psychological consequences for cognitive control, emotion regulation, and emotion recognition. They also found that while performance of both groups decreased significantly over time, the CBT/mindfulness appeared to mitigate the decline for impulse control and emotion regulation. Though this work doesn’t prove that such an intervention can work for older offenders who have been in prison longer, Raine says it is proof of concept for a methodology that could apply to future research. In that vein, Umbach says she hopes to replicate the results, and has plans to assess other tasks in the dataset Leonard originally collected. She feels strongly about the implications of these and future findings on those who end up in prison. Originally published on Thursday, November 30, 2017 . UPDATE: Fall 2017. New study points to the impact of Power Source. Journal Publication: Criminal Justice and Behavior. This study primarily tests whether incarceration negatively affects cognitive functioning; namely, emotion regulation, cognitive control, and emotion recognition. As a secondary interest, we test protective effects of a cognitive behavioral therapy/ mindfulness training (CBT/MT) intervention. Dormitories containing 197 incarcerated males aged 16 to 18 years were randomly assigned to either a CBT/MT program or an active control condition. A cognitive task was administered pretreatment and again 4 months later, upon treatment completion. Performance on all outcome variables was significantly worse at follow-up compared with baseline. There were marginally significant group by time interactions. While the control group performance significantly declined in both cognitive control and emotion regulation, the CBT/MT group showed no significant decline in either outcome. 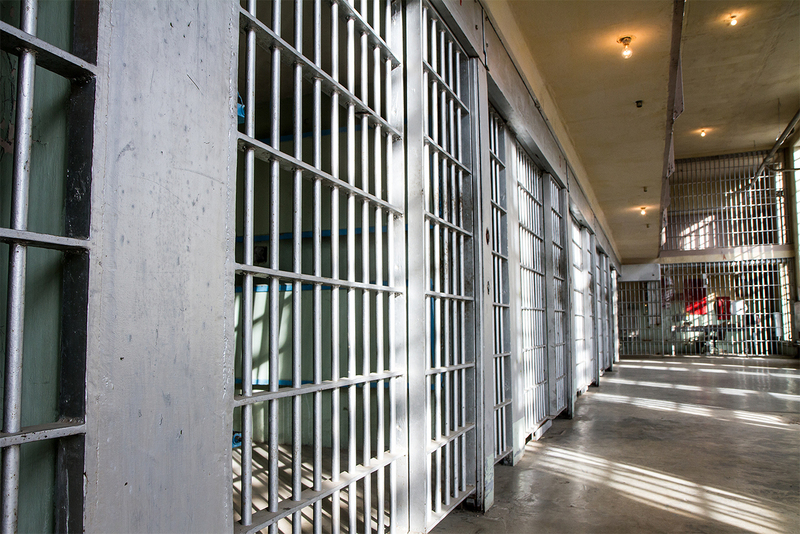 This is the first study to probe the effects of incarceration on these three processes. Findings suggest that incarceration worsens a known risk factor for crime (cognitive functioning), and that a CBT/MT intervention may help buffer against declines. To read entire article, click here. Pilot studies on Power Source Parenting (PSP) complete. The mental health needs of court involved and other highly at-risk adolescents are profound. Kazdin (2005) estimates that 50 to 80 % of delinquent youth demonstrate at least a single psychiatric disorder. The psychological, social, and cognitive impairments of these youth compared to the normal population are well documented and include conduct disorder (Eppright, et al., 1993); extreme levels of anger (Cornell, Peterson, & Richards, 1999); poor emotional regulation (Chamberlain, 2003; Zeman et al., 2002); depression (Loeber & Keenan 1994); anxiety (Chamberlain, 2003); suicidal ideation and attempts (Kempton & Forehand, 1992); substance use (McManus, et al, 1984); and cognitive distortions regarding the hostile intentions of others (Dodge,1982). Despite the varied and complex treatment needs of youth offenders several individually-focused interventions have proven effective with this population. Cognitive-behavioral therapy (CBT) has been shown to reduce anger problems (Beck & Fernandez, 1998). Problem-solving social skills training (PSST), derived from cognitive-behavioral theory, has been demonstrated to effectively reduce the symptoms associated with conduct disorder and delinquency by teaching strategies to manage interpersonal situations that commonly arise with parents, peers and teachers. (Brestan & Eyberg, 1998; Kazdin Siegel, & Bass, 1992; Kazdin, Bass, & Thomas, 1989) This approach specifically addresses the cognitive biases that many aggressive youth engage in and provides guided opportunities for these youth to generate increasingly adaptive and viable solutions to potentially conflictual situations. The Power Source book/curriculum/program utilizes many of these same mechanisms to reduce anger, modify cognitive distortions that lead to interpersonal aggression, and develop more adaptive coping strategies to regulate emotion. Additionally, the Power Source program incorporates mindfulness training, the “intentional self-regulation of attention from moment to moment” (Baer, 2003). Mindfulness meditation has been shown to be an effective tool in treating anxiety (Kabat-Zinn et al., 1992; Miller et al., 1995); depression relapse (Teasdale et al., 2000); drug and alcohol problems (Bowen et al., 2006; Witkiewitz, Marlatt, & Walker, 2005); binge eating (Kristeller & Hallett, 1999); grieving (Sagula & Rice, 2004); and ruminative thinking (Ramel et al., 2004) – many of the same psychosocial difficulties exhibited by court involved youth. Mindfulness meditation is a key element in many effective treatment approaches such as dialectical behavior therapy (DBT) (Linehan, 1993), Marlatt’s Relapse Prevention work with substance abusers and mindfulness-based cognitive therapy (MBCT), a depression relapse prevention program (Segal, Williams & Teasdale, 2002). Similar to the Power Source program, each of these interventions incorporates mindfulness training with a range of other techniques such as cognitive reframing, psychoeducation, and social problem-solving skills. Finally, Power Source draws on the burgeoning field of social-emotional competence (Greenberg et al, 1995) by spending a large portion of treatment time devoted to the identification, labeling, and discussion of emotions. Further, participants are given opportunity to present complex emotional situations and are provided assistance and feedback generating alternate and more adaptive responses. Given the deficits that many of these youth face in the ability to regulate their moods, identify feelings, and engage in pro-social interactions, emotional literacy is an essential skill set and one that is likely to modify trajectories of antisocial behavior. In fact, increases in emotional literacy/regulation have been linked to decreased delinquency, lower aggression, and greater attachment to school and family (Hawkins, et al., 1992). Power Source makes several unique contributions to the treatment of youth offenders. Unlike many of the interventions mentioned above, Power Source takes a developmental approach in addressing the socio-emotional needs of youth whose lives have been largely shaped by high-risk behavior. Stage salient tasks such as identity development, creating healthy interpersonal relationships, and the formulation of positive future orientations are seminal components of the program. Further, the Power Source program pays particular attention to the environmental contributors (e.g. intergenerational cycles of abuse and neglect, family incarceration and addiction, and domestic violence) that high-risk youth, particularly early-onset offenders, often experience. One of the key features of the program is the accompanying book, Power Source: Taking Charge of Your Life, written for youth at a 5th grade reading level. Bibliotherapy has been shown to be an extremely cost-effective mode of treatment (Kazdin, 2000), affording participants a sense of privacy to explore treatment issues. Because Power Source contains stories about key therapeutic issues written by high-risk adolescents, anecdotal responses from sites utilizing Power Source suggest that youth are strongly drawn to the material. There is also evidence to suggest that bibliotherapy can be as effective as therapist delivered treatment (Marrs, 1995). The Lionheart Foundation, in partnership with The National Development and Research Institute (New York) and the Massachusetts Department of Youth Services, conducted a preliminary investigation regarding the Power Source program. The intervention was extremely well received by the vast majority of youth with over 75% of youth rating the group experience as very good or excellent. In terms of the acceptability of the coping strategies presented to reduce stress and increase emotional regulation, 87% reported engaging in the meditation exercises outside of the group. Approximately half of those participants indicated that they sometimes practiced the meditation with other youth in the facility. Overall, most counselors felt that Power Source was one of the best tools they have come across for working with juvenile offenders. In particular, several counselors noted that participating youth appeared to be more engaged in treatment and were more self-reflective. In terms of outcome measures of social-emotional functioning, over 36% of youth reported that participation in the group changed their feelings about their selves “a lot” and the same percentage reported that their feelings changed somewhat. Youth reported a significant decrease in their hostile reactions when coping with stressful situations. Trends were noted in several other post-test indices. Youth tended to report an increase in their sense of agency, that is, their perception that they can initiate and sustain action toward a desired goal. There was also a tendency for youth to report fewer symptoms of depression. In the interpersonal realm, youth tended to report an increase in their rapport with adults in authority such as counselors and teachers. As a result of the findings from the pilot research project, a formal research project on the efficacy of Power Source is being conducted on the adolescent unit at Rikers Jail (NY) funded by the National Institutes of Health (NIH). Researchers are two years into a four-year study. Pilot research projects on Power Source Parenting have concluded, again with promising results, funding for evidence-based research on the curriculum was submitted to NIH and funding for an exploratory study has been approved (to begin 2012). At the recent 11th Annual International Mindfulness Conference sponsored by the University of Massachusetts Medical School, results from the Power Source NIH study conducted at Riker’s Island were presented by Dr. Amishi Jha from the University of Miami, a leading researcher in the field of mindfulness and cognitive neuroscience. Her presentation, entitled, “Does Mindfulness Training Help Build Resistance?” featured the data from the Power Source research which demonstrated that participants in the Power Source groups experienced significantly less degradation in attention over time than those in the control group. Her thesis was that in stressful environments such as involuntary confinement youth prison) and military deployment, mindfulness meditation serves as a protective factor against the cognitive impairments caused by stress. The researchers investigated the impact of cognitive behavioral therapy and mindfulness training (CBT/MT) on attentional task performance in incarcerated adolescents. Researchers at the New York University College of Nursing (NYUCN), the University of Miami, and the Lionheart Foundation in Boston, found that mindfulness training, a meditation-based therapy, can improve attention skills in incarcerated youth, paving the way to greater self-control over emotions and actions. It is the first study to show that mindfulness training can be used in combination with cognitive behavioral therapy to protect attentional functioning in high-risk incarcerated youth. Their study, “Mindfulness Training Improves Attentional Task Performance in Incarcerated Youth: A Group Randomized Controlled Intervention Trial,” published in the on-line journal, Frontiers in Psychology, holds promise for new strategies in reducing anti-social behavior among at-risk youth. The researchers followed 267 incarcerated males, ages 16 to 18, over a 4-month period. The researchers found that participation in an intervention that combined cognitive behavioral therapy with mindfulness training (or “CBT/MT”), called Power Source, had a protective effect on youths’ attentional capacity. This research is the largest controlled study of mindfulness training for youth to date. Improving attention can lead to better self-control. Reflecting on the impact of the intervention, one study participant stated, “Just yesterday. Got into an altercation with a guy in the kitchen. Guy said, ‘We’re gonna fight.’ At first thought, my initial response was to fight. Then I thought about the consequences – I’d lose my job [in the prison kitchen], don’t want to go to court and don’t want to hear the judge mouth about my fights.” Attention to the goal of staying out of trouble allowed this participant to consider an alternative to fighting. The mindfulness training is complemented by exercises that focus on taking responsibility for offending behavior and increasing motivation for engaging in non-violent, pro-social behaviors. “Although we don’t have direct evidence for this yet, we hypothesize that this repeated practice can translate into maintaining a focus on pro-social or non-violent goals in the course of youths’ daily lives, amidst the harsh conditions of incarceration or in the context of anti-social peers” added Dr. Leonard. Study participants were randomly assigned to one of two groups based upon the prison dormitory where they resided: the intervention group received cognitive-behavioral/mindfulness training and the control group received an evidence-based cognitive-perception intervention focusing on attitudes and beliefs about substance use and violence. Participants completed a computerized Attention Network Test (ANT) prior to the intervention and four months later. The researchers found that this high-stress period of incarceration led to declines in attentional task performance for all subjects. This poorer performance over time might be accounted for by the unrelenting stress on cognitive control which is necessary for complex problem solving, emotion regulation, and behavioral inhibition. However, the CBT/MT intervention group showed significantly less of a decline in attentional task performance as compared to the control group. Moreover, within the CBT/MT group, the attentional task performance among those who practiced outside of intervention sessions remained stable compared to those who did not practice outside of the intervention sessions. These findings indicate that a multi-session CBT/MT intervention can be effective in limiting degradation in attentional performance in incarcerated youth, thus providing a protective effect on offending youths’ functional attentional impairments during incarceration in a high-security urban jail. In line with the current findings, co-author Amishi P. Jha, PhD of the University of Miami, has reported that protracted periods of high stress, such as preparing for military deployment, degrades cognitive control functions such as attention and working memory. The current results suggest that strengthening attention through mindfulness training may be a key route for reducing recidivism among young offenders, and highlight the need to teach detained youth strategies to improve cognitive and emotional control in the stressful detainment environment. In particular, training methods that allow youth to actively engage in exercises on their own to improve cognitive control may be ideal in conjunction with structured intervention activities or psychotherapy to help youth cultivate resilience by building their capacity for cognitive control while detained and after release. Additional authors who contributed to “Mindfulness Training Improves Attentional Task Performance in Incarcerated Youth: A Group Randomized Controlled Intervention Trial” were: Charles M. Cleland, PhD, Marya V. Gwadz, PhD, and Zohar Massey from NYUCN and Merissa Goolsarran and Cristina Garcia from the University of Miami. CDUHR, funded by the National Institute on Drug Abuse, is the first center for the socio-behavioral study of substance use and HIV in the United States. The Center is dedicated to increasing the understanding of the substance use-HIV/AIDS epidemic, particularly among individuals in high-risk contexts. The Center’s theme is “Discovery to Implementation & Back: Research Translation for the HIV/Substance Use Epidemic.” The Center facilitates the development of timely new research efforts, enhances implementation of funded projects and disseminates information to researchers, service providers and policy makers. About New York University College of Nursing NYU College of Nursing is a global leader in nursing education, research, and practice. It offers a Bachelor of Science in Nursing, a Master of Arts and Post-Master’s Certificate Programs, a Doctor of Philosophy in Research Theory and Development, and a Doctor of Nursing Practice degree. For more information, visit www.nyu.edu/nursing. Oct. 31, 2013 — Researchers at the New York University College of Nursing (NYUCN), the University of Miami, and the Lionheart Foundation in Boston, found that mindfulness training, a meditation-based therapy, can improve attention skills in incarcerated youth, paving the way to greater self-control over emotions and actions. It is the first study to show that mindfulness training can be used in combination with cognitive behavioral therapy to protect attentional functioning in high-risk incarcerated youth. Improving attention can lead to better self-control. Reflecting on the impact of the intervention, one study participant stated, “Just yesterday. Got into an altercation with a guy in the kitchen. Guy said, ‘We’re gonna fight.’ At first thought, my initial response was to fight. Then I thought about the consequences — I’d lose my job [in the prison kitchen], don’t want to go to court and don’t want to hear the judge mouth about my fights.” Attention to the goal of staying out of trouble allowed this participant to consider an alternative to fighting. The researchers found that this high-stress period of incarceration led to declines in attentional task performance for all subjects. This poorer performance over time might be accounted for by the unrelenting stress on cognitive control which is necessary for complex problem solving, emotion regulation, and behavioral inhibition. However, the CBT/MT intervention group showed significantly less of a decline in attentional task performance as compared to the control group. Moreover, within the CBT/MT group, the attentional task performance among those who practiced outside of intervention sessions remained stable compared to those who did not practice outside of the intervention sessions. These findings indicate that a multi-session CBT/MT intervention can be effective in limiting degradation in attentional performance in incarcerated youth, thus providing a protective effect on offending youths’ functional attentional impairments during incarceration in a high-security urban jail. The Power Source (PS) intervention holds great promise for effectively ameliorating the specific deficits that are linked to mental health and behavioral problems among incarcerated and high-risk youth. Power Source is a theoretically-driven, multiple session, group intervention developed by providers who work with detained youth and those at risk for offending. Power Source is guided by a theoretical model that frames the interplay of emotional regulatory processes, and social cognitive and mental health functioning as mediating factors in delinquent, offending and substance use behaviors (van Goozen, 2007). Through the combined use of cognitive behavioral skills building and mindfulness meditation, Power Source promotes social cognitive capacity and enhances specific emotional regulatory processes. Importantly, over the past five years, Power Source has been utilized by a large number of juvenile detention facilities and organizations serving adjudicated and at-risk youth in a number of states across the U.S. Over 70,000 copies of Power Source have been distributed to juvenile facilities and other youth serving agencies across the U.S. Preliminary studies indicate broad support for Power Source among offending youth and the counselors who work with these youth. A pilot study conducted in 2004 in the Massachusetts Department of Youth Services revealed that youth involved in the program reported a significant decrease in their hostile reactions when coping with stressful situations. Despite the small sample size, additional trends in the data were shown including reports of a greater sense of personal agency, that is, a perception of initiating and sustaining action toward a desired goal and a tendency for youth to report fewer symptoms of depression. In the interpersonal realm, youth tended to report an increase in their rapport with adults in authority such as counselors and teachers. Close to 40% reported that after participating in the Power Source group their ability to get along with other residents in the facility had improved a great deal. A quarter of the participants reported improved change in the way they related to staff. Post test data also indicated high treatment acceptability with over 75% of youth rating the group experience as very good or excellent. In addition, close to 70% of youth rated the meditation exercises as very good or excellent. The majority of youth reported reading all of the Power Source book (57.1%) with most youth rating it as very good or excellent. To further investigate the impact of Power Source and forward its status as an evidence-based program, a group randomized controlled trial was conducted with youth ages 16 to 18 incarcerated at Rikers Island, part of New York City’s Department of Correction. The program, conducted from 2008 to 2012, was funded by the National Institutes of Health. The primary focus of the investigation was the impact of Power Source on attentional task performance. Attention is a cognitive system necessary for managing cognitive demands and regulating emotions. Yet, persistent and intensive demands, such as those experienced during high-stress intervals like incarceration and the events leading to incarceration, may deplete attention resulting in cognitive failures, emotional disturbances, and impulsive behavior. For detained youth, improving attentional control would be highly beneficial; it is a means of increasing awareness of thoughts, feelings, and situations that may lead to offending behavior and directing attention toward interpreting environmental cues more accurately or more consistent with pro-social norms. Cognitive control mechanisms involving engagement of attention and working memory have been proposed to be critical for successful emotion regulation, which includes a sequence of automatic and controlled mental processes that occur prior to the height of emotional, physiological, and behavioral responses in high-emotion situations. We hypothesized that Power Source may mitigate the deleterious effects of high stress and protect against degradation in attention over the high-stress interval of incarceration. Using a quasi-experimental, group randomized controlled trial design, we randomly assigned dormitories of incarcerated youth, to either the Power Source intervention (youth n = 147) or an active control intervention (youth n = 117). This research is the largest controlled study of mindfulness training for youth to date. Both arms received approximately 750 minutes of intervention in a small-group setting over a 3–5 week period. Youth in the Power Source arm also logged the amount of out-of-session time spent practicing mindfulness exercises. The Attention Network Test was used to index attentional task performance at baseline and 4 months post-baseline. Overall, task performance degraded over time in all participants. The magnitude of performance degradation was significantly less in the Power Source vs. control arm. Further, within the Power Source arm, performance degraded over time in those with no outside-of-class practice time, but remained stable over time in those who practiced mindfulness exercises outside of the session meetings. Thus, these findings suggest that engaging in Power Source may protect against functional attentional impairments associated with high-stress intervals, potentially leading to increases in emotional and behavioral self-regulation. To View a Summary of Lionheart Research Click Here.